Chucky is BACK!!! ‘Cult of Chucky’ Trailer Drops!! I’ve been waiting for the ‘Cult of Chucky’ trailer to drop for a while now and today it’s finally arrived! Yep everyone’s favorite pint sized supernatural slasher has come full circle to do battle this time with his ol’ buddy Andy Barclay played by the original actor Alex Vincent! Damn!! I’m thrilled so far with what I’ve seen here as the events of the new movie take place after ‘Curse of Chucky’ and it looks too like we’ve got the old school cleaned up look of the Good Guy doll back which is in my opinion even more creepy than the damaged looks he’s sported in the last movies. Child’s Play 7: Chucky Goes Back To His Roots?! 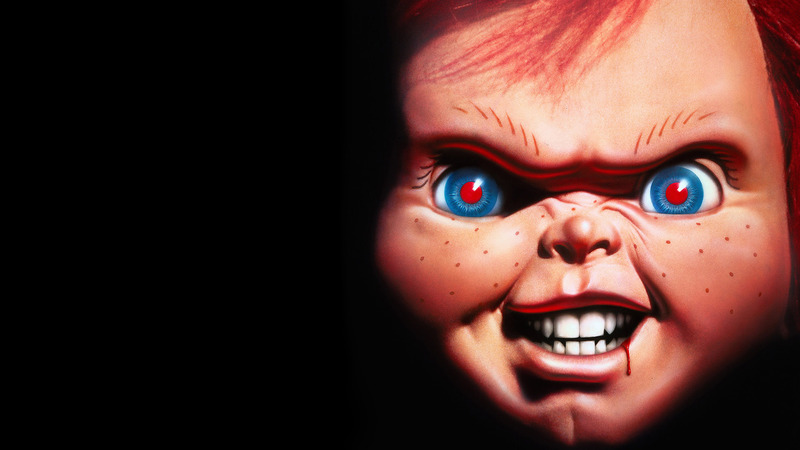 There’s been some rumbling lately from director Don Mancini about the next installment of the Child’s Play/Chucky horror franchise and it’s sounding like it might go old school and get personal. From some photos shared recently it’s looking like the Child’s Play 7 is touting the tagline ‘Chucky is finally coming home’ in a recent tweet. What many are speculating is that Chucky will be squaring off against his old nemesis, an all grown up Andy Barclay. In the recent tweet he tagged Fiona Dourif, Brad Dourif, Summer H. Howell & Alex Vincent with a picture of Mancini with an old house in the background along with the tagline. In the post credits scene of Curse of Chucky we saw Andy Barclay get a mysterious package sent to his house, of course inside was good ol’ Chuck!! What we then saw was Andy ready with a shotgun firing a shot at Chucky when the screen suddenly goes black. So what the hell happened? I’m guessing this next movie will give us the gory details. What I’m hoping for is that the two to finally settle the score on screen in an epic battle that ties all of the movies together. Child’s Play full circle. There’s even a rumor we might see Chucky’s son Glenn/Glenda back in action. But given the tone of the last movie perhaps he’ll either end up being an ally of Barclay or a more well rounded, psychotic menace. We’ll see, but count me in as the last movie was hands down one of the best of the series. I loved the horror aspect being front and center along with a much more seriously scary tone. Could part seven be the series finale? If so I hope it delivers the goods because Andy & Chucky need some resolution in their lives!